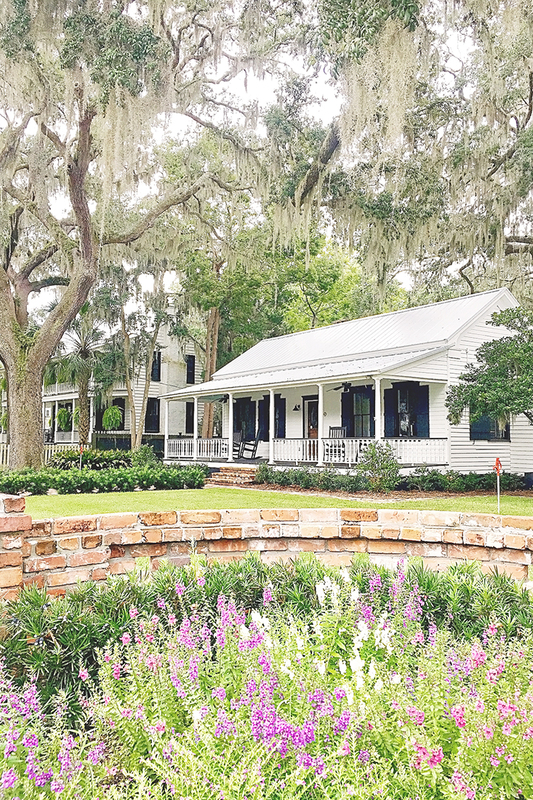 What To Do on a Day Trip to Old Town Bluffton, S.C. 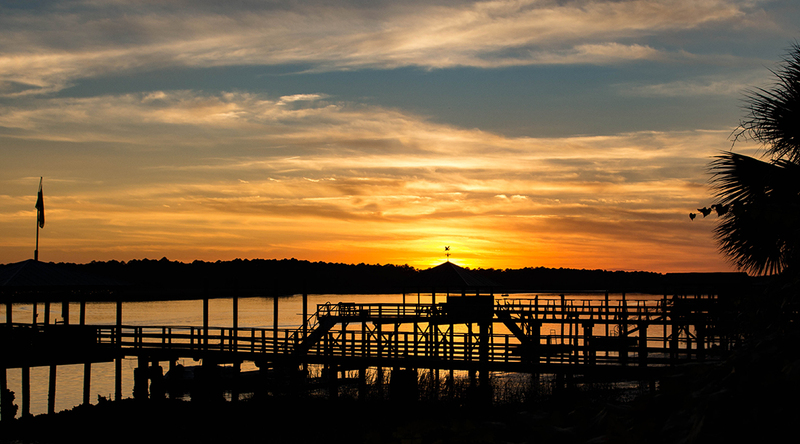 If you enjoy visiting Southern towns that are full of charm and personality, Bluffton is an idyllic spot! It's situated halfway between Hilton Head Island, SC, and Savannah, GA, and is about a 30-minute drive from either location. 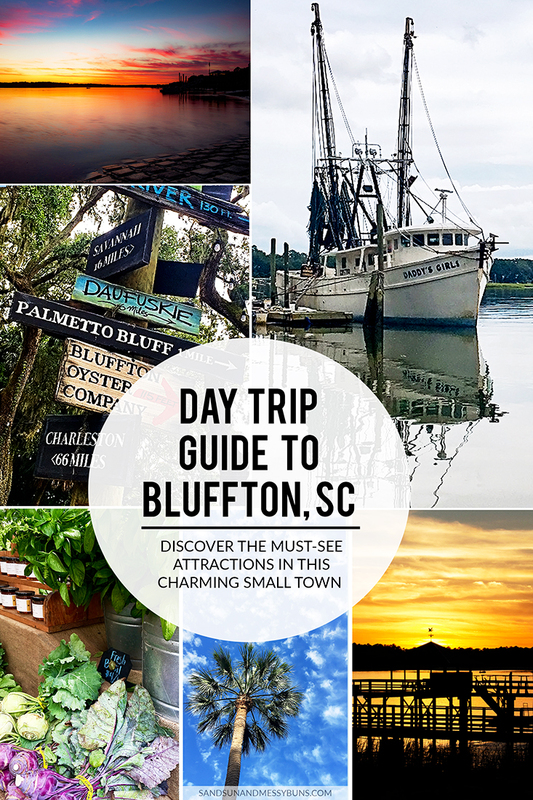 Should you decide to make a day trip, here are a few of my favorite things to do in Bluffton SC. The starred “You Are Here” marks The Church of the Cross. 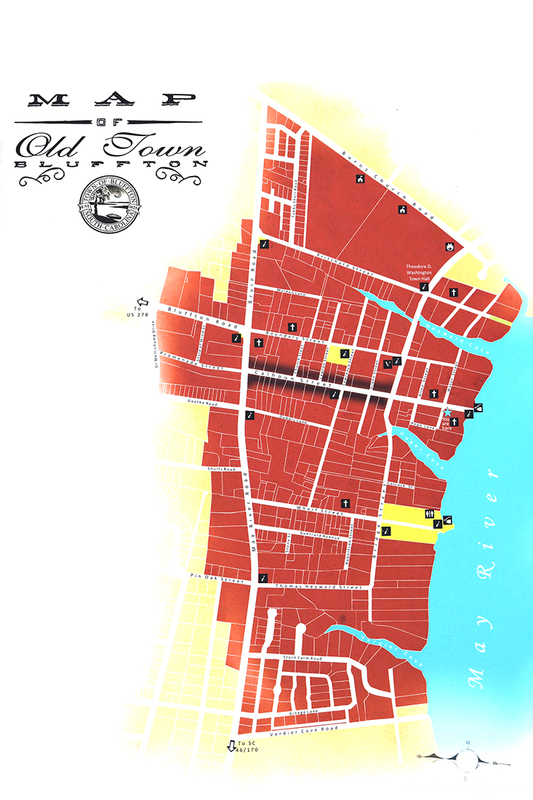 Old Town Bluffton consists of a single square mile that has undergone significant renovation in recent years. The area includes some of Bluffton's oldest homes, the Historic District, and numerous shops and restaurants. I suggest beginning your trip at Heyward House, which was built in the mid-1800's and serves as the visitor's center. 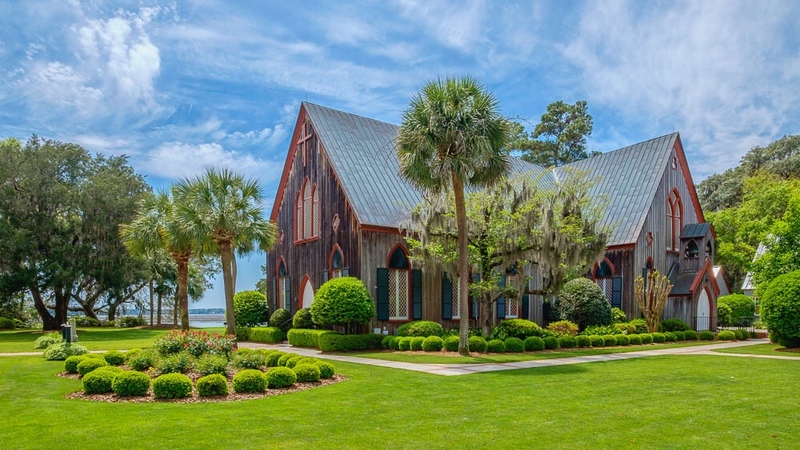 If you're seeking a picture perfect location, look no further than The Church of the Cross! 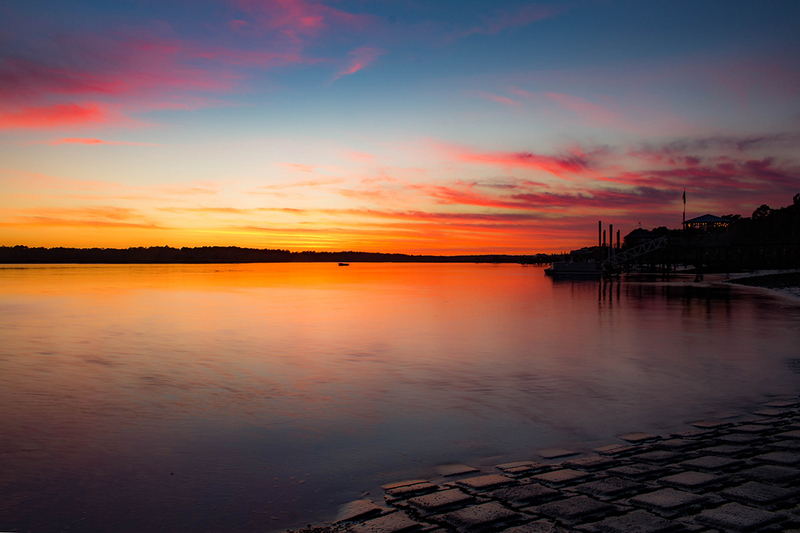 It's located on a bluff overlooking the May River and boasts some of the most incredible views in Old Town Bluffton. The church is well-preserved, with grounds manicured to near perfection. It's easily one of the most-photographed spots in Bluffton. The Church of the Cross is one of the few structures Union soldiers didn't burn during General Sherman's “March to the Sea”. Click on any photo to view it larger. The church celebrated its 150th anniversary in 2004. Main image source. Be sure to walk to the edge of the property to catch beautiful sweeping views of the river. Calhoun Street (in front of the church) dead-ends at the public boat ramp. For a souvenir, pick up a jar of “Holy Honey” made from honey bees discovered in the rafters of the church. The architecture in Bluffton is beautiful! This town beckons you to slow down and relax the minute you set foot under the gorgeous old oaks dripping in Spanish moss. Nearly every home or storefront has a wide front porch with ceiling fans and multiple rocking chairs — ideal spots for sipping sweet tea. Download a free walking tour map here. You'll notice many front porch ceilings in Bluffton are painted light blue to mimic the sky. This is a very common throughout the South. The color is known as “Haint Blue”, and it's traditionally used in historic Lowcountry homes to ward off evil spirits, or “haints”. In addition to scaring off ghosts and goblins, the blue color also tricks birds and wasps into thinking the ceiling is the sky so they'll construct their nests elsewhere. NOTE: Did you know HGTV's 2018 Smart Home is located in Palmetto Bluff in Bluffton? Head to the HGTV website to see details of the home! 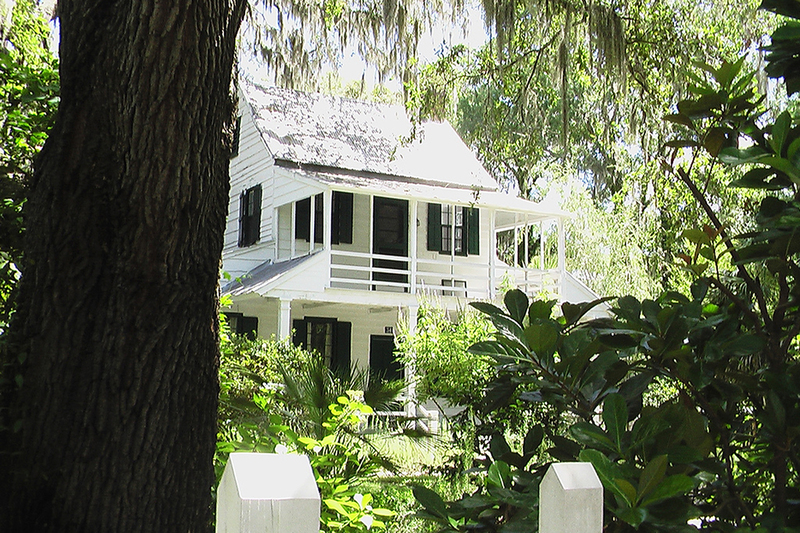 The Garvey House is also located on the property and is a great example work accomplished by Bluffton's Historical Preservation Society. Shopping in Old Town Bluffton is just as unique as the town itself; it's full of vintage stores and charming boutiques. In true small town fashion, many of the shops close at 5-ish, so keep that in mind as you're out and about. Spartina 449 is full of purses, wallets, and jewelry inspired by the Lowcountry. The fabric pattern on each of their handbags is named after well-known Southern destinations and personalities. 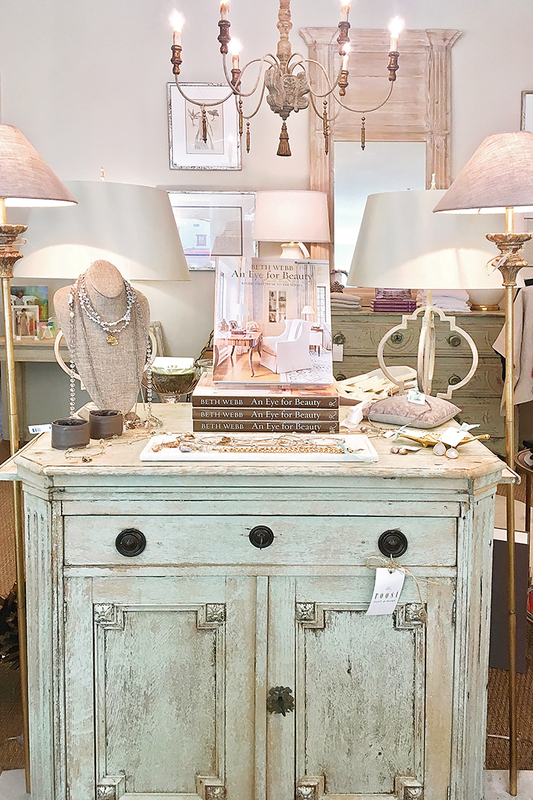 Al-Harry Furniture & Design is chock full of beautiful home decor and custom furniture, in addition to accessories and coffee table books by local authors. Eggs ‘N Tricities is housed in a former gas station and sells home decor, souvenirs, and clothing for women and children. Gigi's Boutique is a charming shop offering women's clothing and accessories in a variety of price points. Some of the items are rather pricy, but they're interspersed with affordable pieces, as well. The Cottage Cafe, Bakery & Tea Room: Stop in here for afternoon tea and a delicious snack when you're in need of a pick-me-up! The Promenade is an easy walk from Historic Old Town and features newly built shops and restaurants. 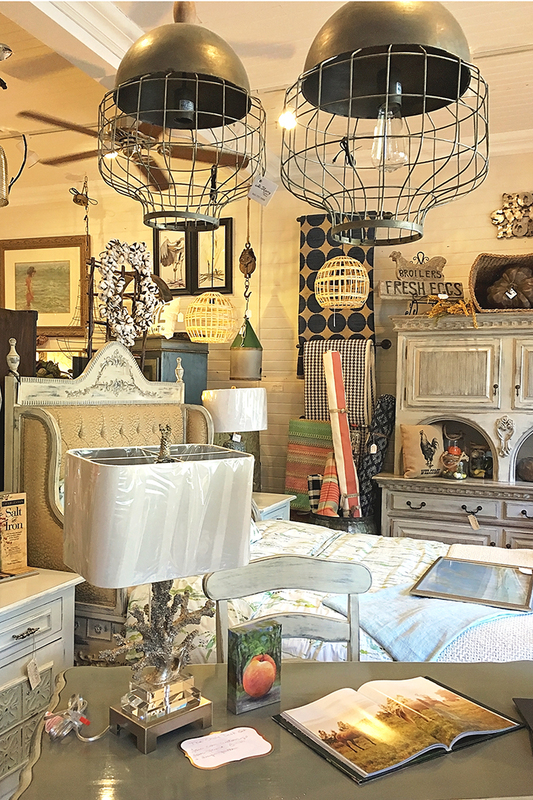 The Roost Host & Home, located in The Promenade, is my personal favorite store in Bluffton. They offer beautiful home decor, soaps, linens, and candles. The Roost Host & Home tops the list as my favorite home decor store in Bluffton. (Think hostess gifts, candles, soaps, home decor, and linens.) The owner is incredibly sweet and helpful. Al-Harry Furniture & Design is another shop I'm always content to spend some time in whenever I'm in Bluffton. The owner up-cycles many furniture pieces by refinishing them in her workshop and selling them in the store, along with new items. For those who prefer more conventional shopping, there's always the sprawling Tanger Outlet Center just outside of town (towards Hilton Head). Watch out for gators in the water bordering the parking lot! You'll frequently catch them sunning on the banks within a few feet of parked cars. 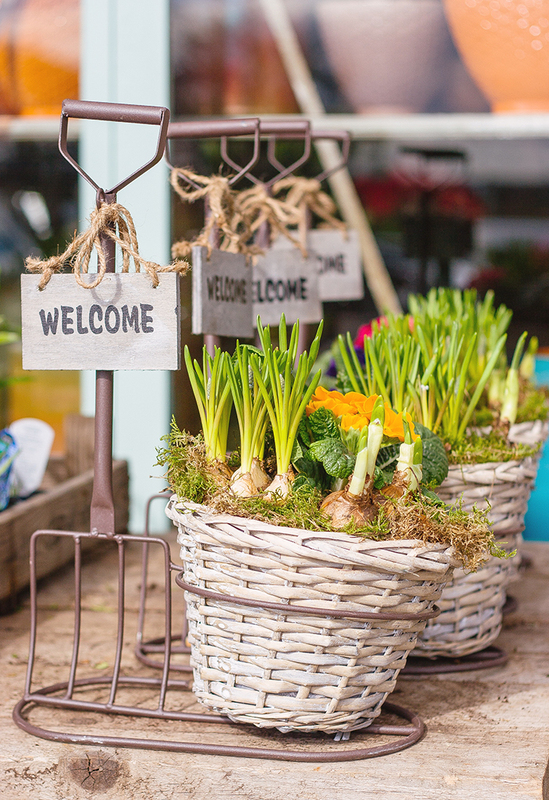 Each Thursday afternoon during the summer months, the town of Bluffton hosts a Farmers' Market from 1:00 – 6:00 p.m. The sense of community is strong on market days! 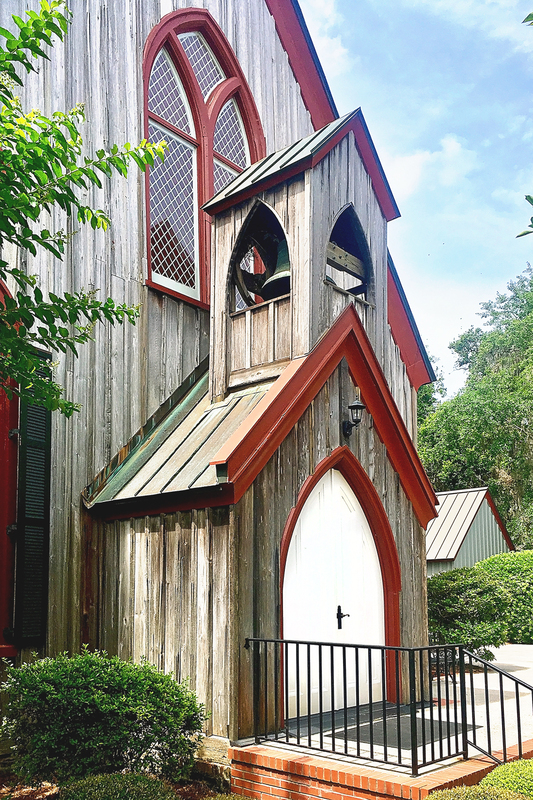 Old Town Bluffton fills with laughter, live music, and the smell of Southern-style BBQ. Be sure to ask if Farmer Joe is around! He always has a smile on his face and is a local favorite (in both Savannah and Bluffton). Click on any photo to view it larger. Bluffton is at its prettiest and has the best weather from March to early May. October is nice, too. 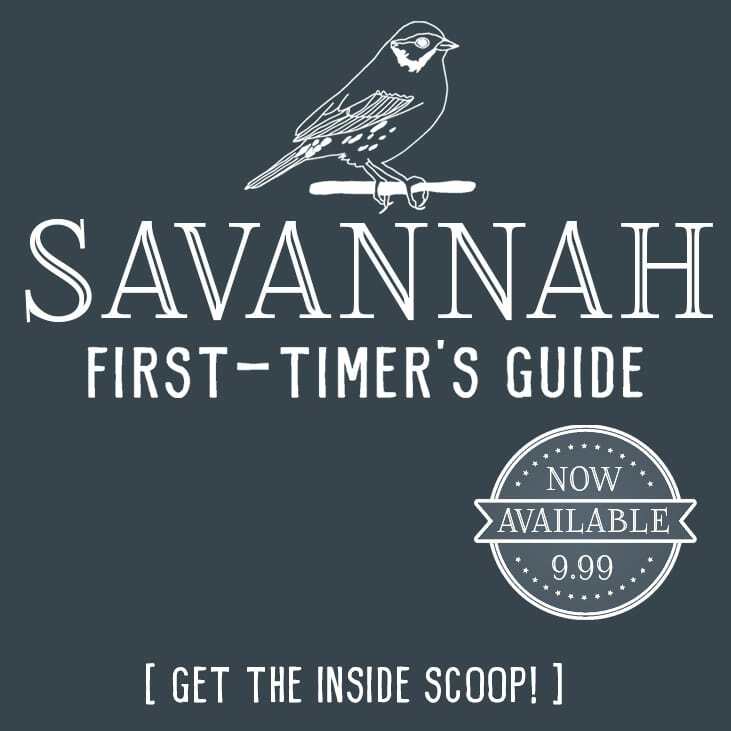 If you're traveling by plane, the closest major airport is Savannah (SAV). One of my favorite local events is Taste of Bluffton, which is a celebration of Southern cooking. The event definitely draws a crowd, but it's a great opportunity to sample some of the best dishes from local restaurants. Taste of Bluffton is typically held in April. There's no shortage of beautiful homes in Bluffton! My favorite (and the most popular) options are in Palmetto Bluff, but there are numerous vacation homes and a few large hotels throughout the area. Home Rentals: These Vacation Home Rentals in Bluffton are Calling Your Name! Related: Here are a few great pointers for renting your next vacation home in Bluffton. If you have questions about any other things to do in Bluffton SC, please post them in the comments. I highly recommend visiting if you're looking for a fun outing near Savannah or Hilton Head. Wow your photos are absolutely stunning! That church and mansion are especially beautiful. This town looks like such a cute place to visit. Thanks Brianne! It’s definitely one of my favorite towns for taking pictures, and it’s an incredible vacation spot! I’m headed there this weekend for Taste of Bluffton. Yes, it’s exactly like something out of a Nicholas Sparks movie. You nailed it! Your photos are stunning!!! I WILL be in the area next June!! And my family will have no choice but to visit here!! LOL! lol Well it’ll be hot in June, but you’ll love it! The restaurants and shops will keep you busy. 🙂 Let me know if you need help picking out a place to stay! Hopefully you’ll be able to go since you’re moving to Georgia! It’s such a cute little town…and right on the water so there are tons of restaurants with really tasty fresh seafood (and plenty to suit non-seafood lovers, too. It’s becoming a bit of a foodie destination). What a gorgeous little town! It reminds of the town where the show Hart of Dixie takes place! And that Rose Hill Mansion is simply heavenly. Dream home! I don’t think Hart of Dixie was filmed there, but they did shoot an episode of The Bachelorette in Bluffton this season (when they went up in the hot air balloon). Not quite the same, I know, but it was still fun to see the local spots on TV. 🙂 Lots of scenes from The Legend of Bagger Vance were filmed in the area! Bluffton looks like a cute little place! I live in NC and have always gone to Myrtle, Charleston, and Folly during the summer. Now you’ve gotten interested in checking out Bluffton. I also haven’t been to Hilton Head believe it or not! I’m gonna have to visit there as well. Bluffton is a great place to visit 🙂 If you liked Charleston, it’s very similar, but with much more of a small-town vibe.